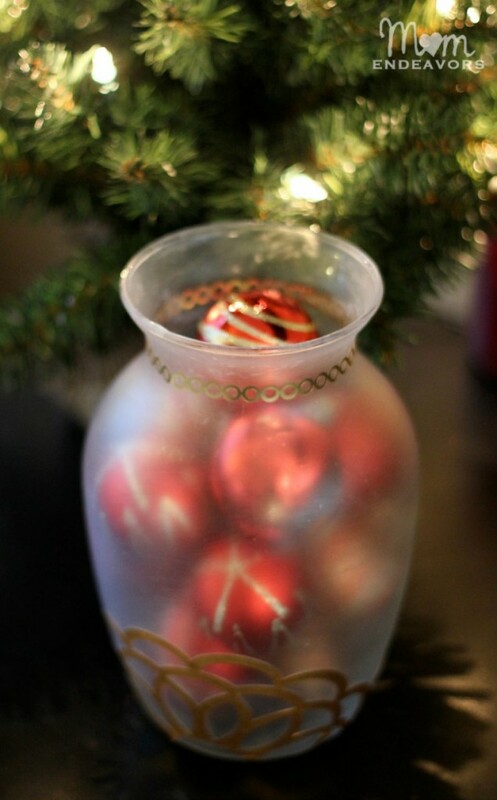 As part of a sponsored campaign with Blueprint Social, I’ve started some holiday projects using Martha Stewart Crafts! I’m a big fan of gold for the holidays. In fact, one of our trees is almost entirely red & gold. 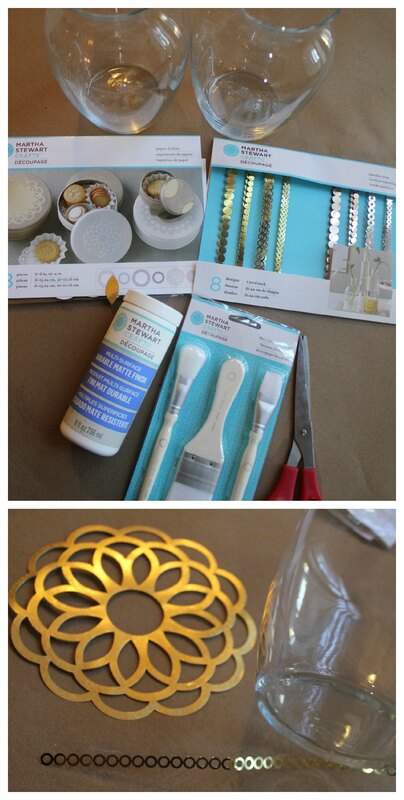 And, with the Martha Stewart Crafts multi-surface craft system (in-store at Michaels or in Plaid’s online store), there are a lot of ways that you can have fun making things glittery and gold! 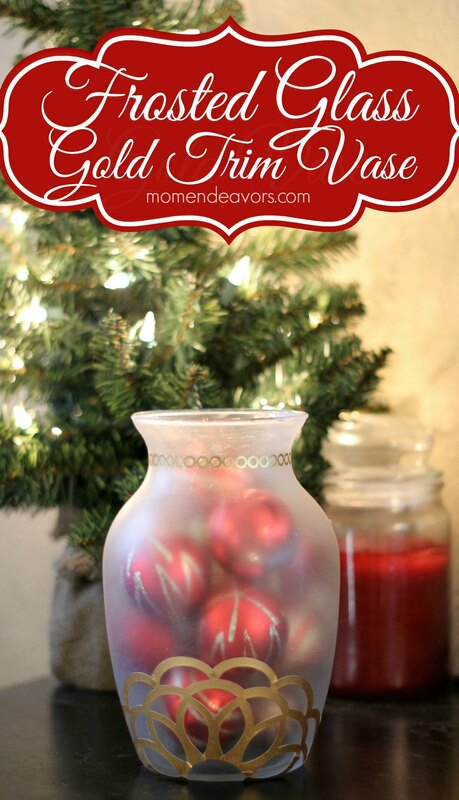 In just a few minutes (minus drying time) with just a few supplies, you can take a boring dollar store vase to something much more festive and fun! 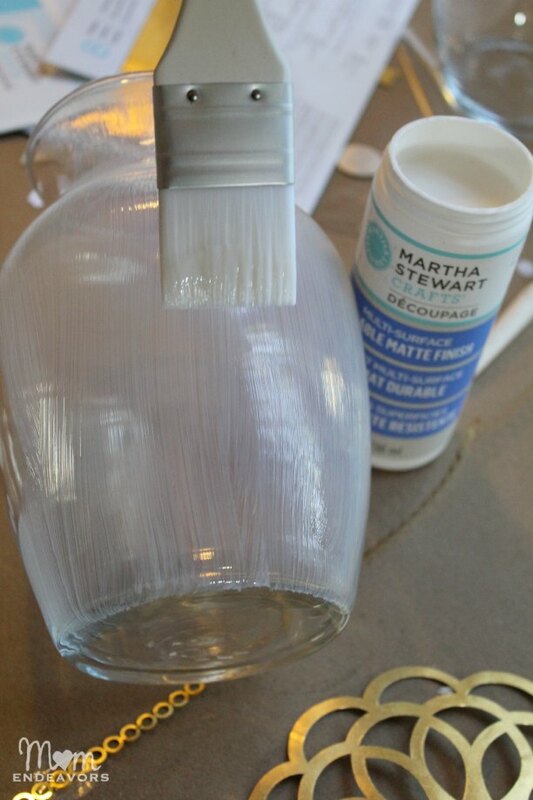 And, for even more craft inspiration, you can follow Plaid Crafts on Facebook, sign up for their email newsletter or check out their Martha Stewart Crafts Pinterest Board! 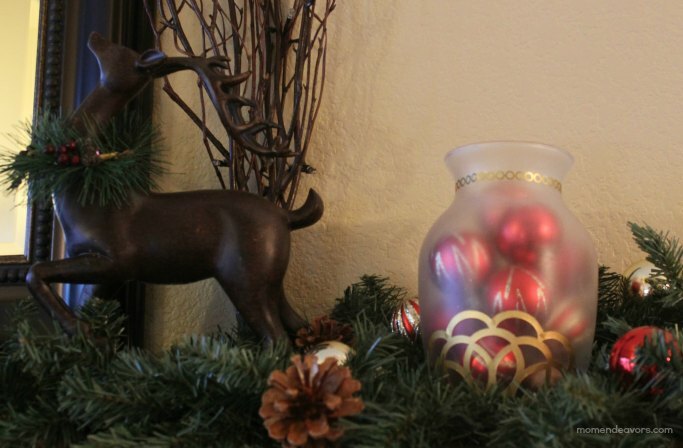 Have YOU started on any holiday projects yet? 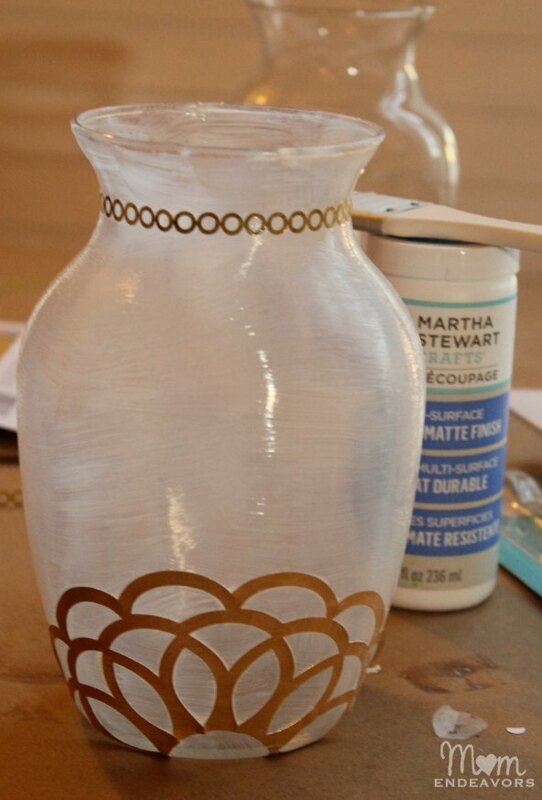 Disclosure: This is a sponsored post written by me on behalf of Blueprint Social for Martha Stewart Crafts by Plaid. As always, all opinions are 100% mine. I love this and never would’ve known it was a doily, so cute! Oh my goodness! Ive finally jumped aboard the mercury glass train and I’m thinking I might jump right off for this frosted glass and gold look! Thanks for the tutorial! Ive pinned it and am a new follower, can I invite you to do the same? What a beautiful, elegant vase! Great job Sara – this looks beautiful!